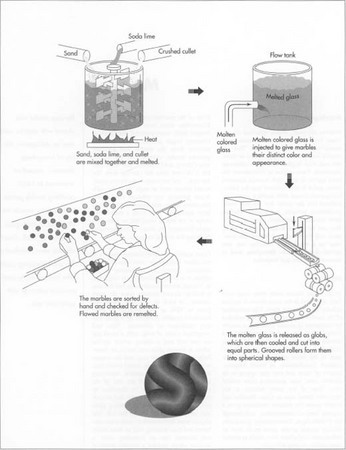 process which yielded a tougher piece of glass not likely to break or become brittle. Sand in glass manufacture usually refers to silica sand. So, your reference in the article to sand and silica is actually one and the same and a little misleading. One other main ingredient for glass manufacture which you have missed out is feldspar. Hope this helps clarify.